To ensure that you get the festival's special room rate, mention the Atlanta Harp Center and reserve your room by February 22, 2019. Parking at the hotel is available, it's $10.00 daily. Attendees can also easily get to the hotel by taking Atlanta's public tranportation system MARTA. While attending the festival, be sure to explore Decatur! It offers some of the best food and shopping in the Atlanta area. Enjoy over 50 restaurants and numerous boutiques within a three mile radius of the hotel. 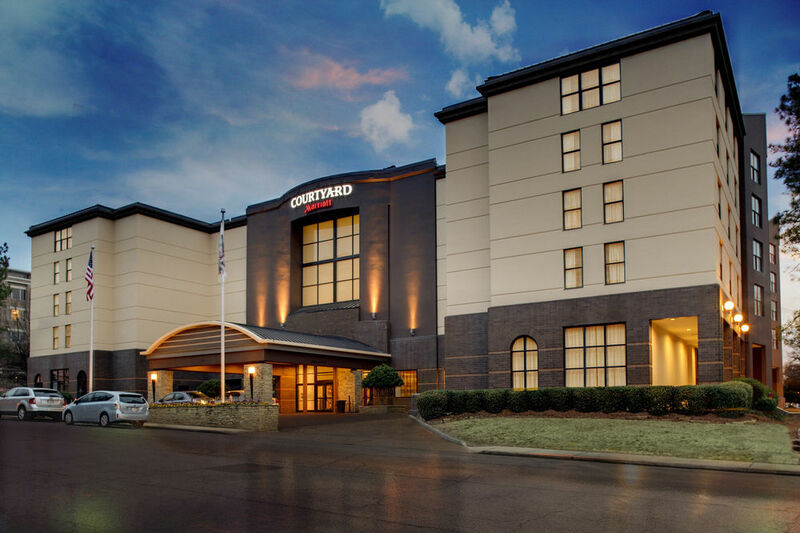 The Courtyard Decatur offers spacious rooms that include plush bedding, mini refrigerators, premium cable channels, and free Wi-Fi. At the center of the hotel is The Bistro, where you can enjoy drinks and dinner during the evening hours. Parking at the hotel is available, it's $10.00 daily. The hotel does not provide shuttle service, but you can travel to the hotel through Atlanta's Public Transportation System, MARTA. Take Charles W Grant Pkwy to I-75N and merge onto the interstate. Take Exit 248C onto Freedom Pkwy toward GA-10 E/Carter Center. Take the exit toward Georgia 42 E and merge onto Freedom Pkwy. Make a left onto Moreland Ave NE. Turn right onto Ponce De Leon Ave NE and continue onto W Ponce De Leon Ave. Turn left onto Clairemont Ave. The hotel will be on the left. Take Airport Road to Clairmont Road, turn left onto Clairmont Road. Continue on Clairmont Rd to Clairemont Ave. The hotel will be on the right.